Understanding Landlord Accountability and What You Can Do! Communities nationwide forge positive relationships with negligent property owners to instill pride, fight crime, and erase blight. Part and parcel of the American Dream, home ownership is a goal to which many in the United States aspire. However, for the 100 million who either cannot afford to purchase their own home, or simply wish to avoid the hassle of repainting that white picket fence, renting remains a vital and desirable housing option. While the U.S. Department of Housing and Urban Development (HUD) has outlined the rights and responsibilities of tenants who live in federal housing, private rental property laws differ by state and municipality. Problems commonly arise when landlords and tenants willfully or unintentionally ignore the law by allowing property to fall into disrepair or by failing to address crime and safety issues. This negligence, in turn, perpetuates further, often irreversible, decay. Like the proverbial bad apple, one blighted property can spoil the rest of the neighborhood. Rental-owner neglect is a serious issue that can hamper crime prevention efforts. However, with the right tools, Neighborhood Watch leaders can engage landlords, empowering them to become partners in the fight to reduce crime and improve safety. Ensuring resident satisfaction and well-being is a win-win proposition for all parties involved—for landlords, who enjoy low vacancy rates and high property values; for law enforcement; and for residents, who feel safe and secure in their rental communities. Who are the people in your neighborhood? According to the U.S. Census Bureau’s 2009 American Housing Survey (AHS), there are 38.6 million occupied rental properties with more than 100 million tenants in the United States. A recent Harvard study pointed out that, contrary to popular belief, most rental housing is not located in America’s urban areas instead, more than half of all renters live in suburban or nonmetropolitan areas. What’s more, small- to mid-sized structures, typically single-family homes and 2- to 4-unit garden-style properties, not towering multicomplexes, make up more than half of all rental housing, while another quarter of the stock is in multifamily buildings comprising of five to 19 units. Approximately 16 percent of all residential rentals are subsidized. AHS data (collected from a fixed sample of more than 50,000 heads of household) suggest that most renters are satisfied with where they live, as more than 60 percent rate their neighborhood an eight or above on a 10-point scale. However, despite overall renter satisfaction, the AHS echoes a number of safety and quality-of-life concerns within the U.S. rental community. Specifically, more than 10.1 million renters report bothersome street noise, while 7.6 million state that serious crime has occurred in their neighborhood within the past 12 months. Just over a half million report bothersome neighborhood conditions such as housing deterioration. When asked about trash, litter, or junk or the streets or on any properties within 300 feet of their residence, 3.7 million describe it as a minor problem, while 1 million report major accumulation. In general, building and ground maintenance quality ratings mirror overall neighborhood satisfaction, with more than 60 percent expressing complete satisfaction in both categories. Nonetheless, a respective 8.7 million and 7.2 million renters report partial or total dissatisfaction, indicating that significant tenant-landlord problems do exist. What these statistics do not reveal is equally, if not more, significant. They do not indicate, for example, what percentage of the 15.9 million dissatisfied renters have made their complaints known to management or how many landlords have responded and taken measures to enhance the safety of their properties and surrounding public areas. Nor do they state if efforts have been made to educate, or if necessary, evict nuisance tenants. Clearly, establishing open dialogue is a crucial first step to building a productive renter-landlord relationship—one in which each party is receptive to suggestions for improvement and willing to effect necessary change. The challenge is knowing how to take the initiative and overcome existing obstacles. Meanwhile in the East, the city of Troy, New York, has developed a multipronged approach to ensure property-owner accountability. At the heart is a landlord training program run by the nonprofit organization Troy Rehabilitation & Improvement Program, Inc. (TRIP). 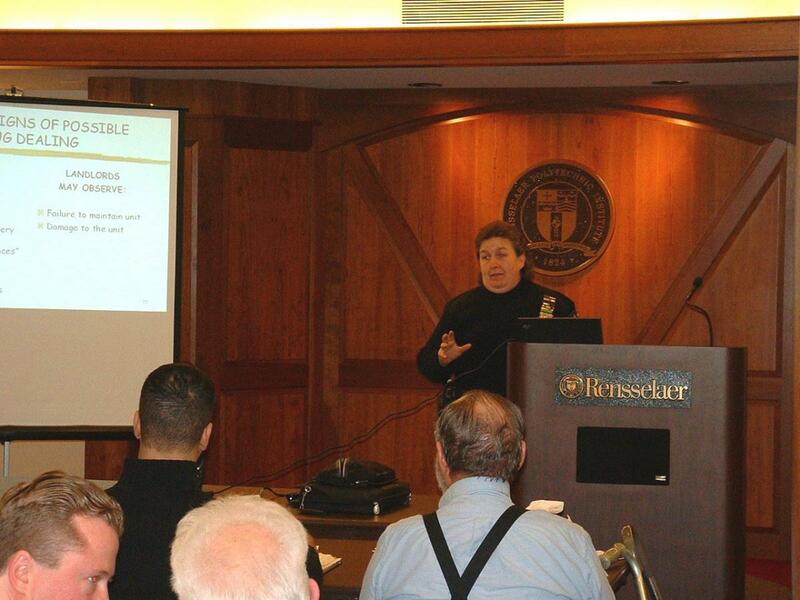 Based on the premise that landlords desire to do what is good for their tenants and the community, the four-hour training brings together TRIP housing specialists, a community policing officer, and a code enforcement inspector, neighborhood leaders, and experts from the Rensselaer Polytechnic Institute Department of Public Safety. 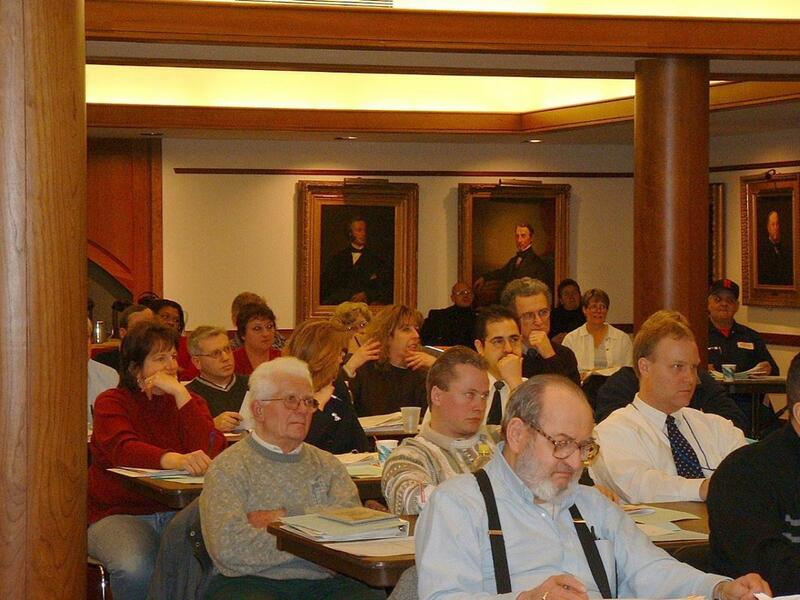 Topics addressed include effective tenant screening techniques, warning signs of drug activity, nuisance abatement, local ordinances, and dispute resolution. “The focus of the training is mainly on responsibility and accountability and less on the eviction process,” explained TRIP Director of Community Affairs Hilary Lamishaw. As such, trainees learn to view neighbors not as nuisances but as best friends who share a common interest in the welfare of their investment property. “Our mantra is ‘What’s good for the neighborhood is good for your bottom line.’” Since the landlord training program was launched in 2002, nearly 1,000 landlords have completed the course. TRIP also offers tenant screening to further assist local landlords, many of whom are “mom-and-pops” with limited resources and experience. Included in the service are a criminal background investigation, a credit check, and an in-depth applicant reference check. If a landlord fails to address crime and safety violations, strong regulatory and enforcement policies can provide housing authorities with the clout needed to ensure compliance. In 2008, the city of Troy passed a law requiring owners who live more than 20 miles away from their rental property to hire a local property management company. Additionally, all vacant rental properties must be registered with the city. Another powerful tool is a nuisance enforcement status, which allows the city to assess points to owners of properties where crimes occur repeatedly. Joslin explained that certain crimes (e.g., gun-related offenses) receive higher points, and properties that tally more than 12 points in one year may be closed up. “The combination of these programs has helped us minimize problems,” said Troy Police Department Sergeant David Joslin. Similar enforcement programs have proven effective in other communities. Last July, Brooklyn, New York, police arrested three landlords for failing to make required corrections to deplorable conditions (which included roach infestation, lead paint, and broken locks) in two severely distressed housing complexes that were part of the city’s Department of Housing Preservation and Development’s Alternative Enforcement Program. In Indiana, a local church community is working with Indianapolis officials to ensure enforcement of a city nuisance law to crack down on negligent landlords. Last January, Indianapolis prosecutors filed a 60-count complaint against one such individual for alleged health and zoning violations at 15 rental properties. If found guilty, the defendant faces fines of up to $300,000. Rental nightmares can often be prevented with a little sleuthing prior to signing the lease. “The old ounce of prevention going into the situation will help alleviate future problems,” contends Bill Deegan, executive director of the American Tenants Association (ATENA). “When you go to rent, look around first to see who the neighbors are. If the apartment isn’t in the nicest area, your antenna should go up.” Deegan also recommends that apartment hunters look for physical signs that the property is well maintained, well lit, and has appropriate security features (e.g., locks on storage buildings, common entryways, and windows) (Home Safety Manual). In Troy, TRIP, Rensselaer Polytechnic Institute, and the United Tenants of Albany have collaborated to create a tenant training program. Targeted at college students transitioning off campus, the course teaches first-time renters about their rights and responsibilities and outlines important safety features to look for in a new apartment home. Participants receive a list of safety features to check for, including whether entry doors to the apartment are solid core wood or metal and fire escapes are unobstructed. Lease agreements should afford certain rights to both the renter and landlord. ATENA supports passage of a ten-point tenant bill of rights law that includes the expectation that the tenant’s home and grounds are safe and habitable, that any defects are corrected prior to occupancy, and that future defects will be repaired in a timely manner upon proper notification. On the flip side, property owners should have the right to protect their investment by prohibiting tenants from engaging in unlawful, unsafe, and destructive activities. Deegan recommends that landlords require all potential tenants to sign a crime-free lease addendum in which they agree to not engage in the sale or manufacture of illegal drugs, prostitution, or other illicit activities while on the premise. A sample of the addendum, which can be modified to meet state or city legal requirements, is available online from the International Crime Free Association. The Harvard study illustrates the extent to which crime and blight affect the whole community—and negatively impact on the economic health of the entire nation. Yet despite dismal economic reports, communities across America are proving that, through teamwork, renters and property owners, government and civic leaders, and law enforcement can effect positive change. Benefits include a more stable, satisfied tenant base and an increased demand for rentals; lower maintenance and repair costs; higher property value; and, most important, crime reduction and improved safety for all. 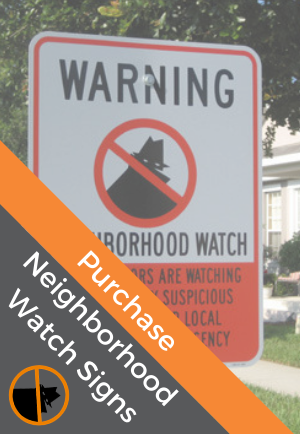 Don’t forget a watch group can help build relations and work with renters and residents to improve the neighborhood. Renters are just as important as owners in a neighborhood to help stop, deter, and reduce crime. Change is possible when everyone lends a hand. Troy Rehabilitation & Improvement Program, Inc.